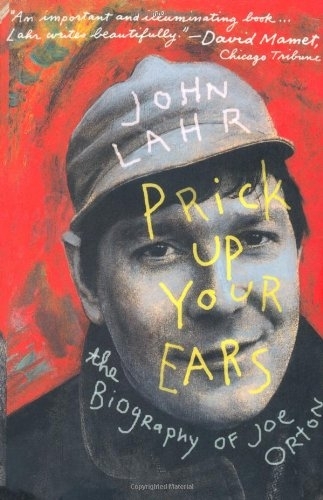 John Lahr, New Yorker critic, novelist, and biographer reconstructs both the life and death of Joe Orton, an extraordinary and anarchic playwright, whose plays scandalised and delighted the public, and whose indecisive loyalty to a friend caused his tragic and untimely death. 'I have high hopes of dying in my prime,' Joe Orton confided to his diary in July, 1967. Less than one month later, Britain's most promising comic playwright was murdered by his lover in the London flat they had shared for fifteen years. In Prick Up Your Ears, Lahr chronicles Orton's working-class childhood and stage struck adolescence, the scandals and disasters of his early professional years, and the brief, glittering success of his blistering comedies, Entertaining Mr Sloane, Loot, and What the Butler Saw. When it first appeared in 1978, Prick Up Your Ears was chosen as Book of the Year by Truman Capote and Nobel Prize-winning novelist Patrick White.